The Panasonic Corporation, earlier known as Matsushita Electrical Industrial Company, is a well-known multinational electronic corporation, which offers various electronic as well as non-electronic products to its customers. The company's USA division is located in Secaucus, New Jersey and it is expected to move to another location in the coming year. The USA division came into existence in 1959 and it was known by the name of MECA (Matsushita Electric Corporation of America) before the year 2005. The Panasonic Corporation offers different electronic products under the brand names of Sanyo and Panasonic and it also sponsor a number of sports event in the country. There are currently 4 consumer reviews about Panasonic available. Share your review. Panasonic is a company that is truly a rip off professional...I purchased a camera from them..of course it had to be repaired..I sent it in and as of going on 4 months now I have no camera..nothing but excuses and wrong shipments..This company should be at the top of the list for the run around..If you have a problem you need to start at the BETTER BUSINESS BUREAU..your wasting your time other wise. I have purchased many things from panasonic but when I purchased a lumix camera which is very expensive..the flash would not work so I was told to send it to product repair service center. After a month they sent it by fedex to return to me..well fedex carried it to the wrong address and I never received it...After calling panasonic they gave me a 4 month runaround..I told them I would contact the Better Business Bureau..finally they sent a black camera that was refurbished..my camera was white and new...I want to know what you are going to do about this matter..I have been ripped off by your company. The customer service in the repairs dept is the worse run business I have ever encountered sent my brand new camera in that broke the FIRST day I used it requested refund was refused. So requested a different model and not a return granted the different model but a return so finally get my camera same piece of garbage lumix ts4 leaving for vacation in 5 days spoke to a manager told them my situation said would email me fed ex next day air shipping slip. Well 4hrs and 3 phone calls later finally receive the email.Barely make it to fed ex to drop off and turns out they sent me a standard ground shipping slip so they won't receive till the day I leave for vacation and they don't open again till Monday so basically screwed for vacation it is absolutely the worst customer service I've ever dealt with absolute incompetence no wonder they're headquarters does not have a complaint email horrible product and even worse employees I will never buy anything with Panasonic on it again and I will post on every sight possible my feelings about this company! 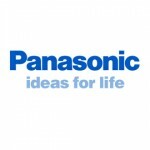 Please take a note that you are about to post a public review about Panasonic corporate office on CorporateOffice.com. This review will be public, so please do not post any of your personal information on this website. If you would like to contact the corporate offices of Panasonic, please use their contact information such as their phone number, website, and address listed above to contact them. However, sometimes staff from Panasonic headquarters do read the reviews on this website.